The colleges below are all NACE members and offer some form of scholarship for their esports athletes. Check out the National Association of Collegiate Esports for more information. Ashland University is offering athletic scholarships for Fortnite, League of Legends, Overwatch, CS:GO, Rocket League, Hearthstone, & Starcraft 2. Our student-athletes all receive their own mouse, keyboard, headset, mouse pad, jersey, jacket, and backpack. Our players also get exclusive access to our esports facility featuring 25 high-end gaming PCs. We have two full-time coaches on staff dedicated to helping our student-athletes succeed both in game and in their academics. Interested students can apply on our website or contact me via discord. 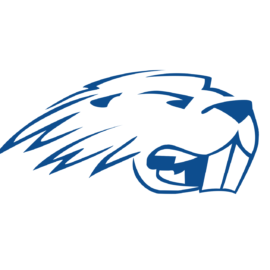 Barton College is a private, four year, coeducational liberal arts college located in Wilson, NC offering competitive eSport scholarships for League of Legends, Rocket League, Fortnite, Overwatch, Hearthstone, Madden, NBA2K and additional games. Catawba College inspires students to transform their sense of what's possible and prepare for fulfilling lives in a place where they belong. Central Methodist University will begin it inaugural eSports season in Fall of 2018. The team plans to compete at the Varsity level in League of Legends, Overwatch, Rocket League and Hearthstone. CMU is committed to building an eSports program that is built on tradition and excellence! The eSports team will have its own dedicated room, equipped with state of the art PCs and gaming amenities. CMU is a private university located in Fayette, MO. We currently have approximately 1,100 students on our 100-acre, tree-shaded campus. The student teacher ratio is 16 to 1 and we offer more than 30 majors and pre-professional programs. CMU is a place where you will not get lost in the crowd and there are plenty of ways to get involved with over 40 student organizations! 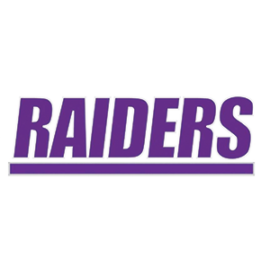 Cincinnati Christian University is offering scholarships for League of Legends, Overwatch, Fortnite, Rocket League, Smash Bros., NBA 2K, Madden, FIFA, and shoutcasters for students of all talent levels. 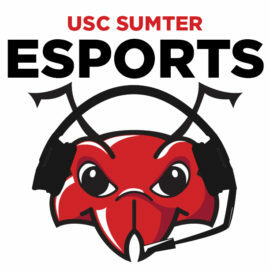 CCU’s program offers a unique mix of PC & console games in order to provide a competitive environment for players across all major platforms while building a community powered by accountability and leadership within the university. Founded in 1908, Coker is a bachelor’s and master’s degree-granting institution and competes in 21 NCAA Division II sports. Coker is ranked among the "Best Colleges" in the South by U.S. News & World Report as well as The Princeton Review, and by Washington Monthly as No. 2 in South Carolina for value. We are the official varsity esports team at Culver-Stockton College. We will begin competing in the fall of 2018 in League of Legends, Overwatch, and Starcraft 2. For nearly half a century, ECPI University was established as a career oriented student centered institution and pursued a path of addressing the needs of students and employers in Virginia, North Carolina, South Carolina and Florida. Embry–Riddle Aeronautical University, Prescott is a residential campus of Embry-Riddle Aeronautical University. The university offers bachelor, master's, and PhD degree programs in Arts & Sciences, Aviation, Business, Engineering, Software and game design, and Security & Intelligence. The Prescott campus also offers a master's degree in safety science. With seven campuses throughout metro Atlanta, Georgia State University provides its world-class faculty and more than 50,000 students with unsurpassed connections to the opportunities available in one of the 21st century’s great global cities. A national leader in graduating students from diverse backgrounds, Georgia State provides a rich experience with award-winning housing, hundreds of student clubs and organizations, and one of the most diverse student bodies in the country. 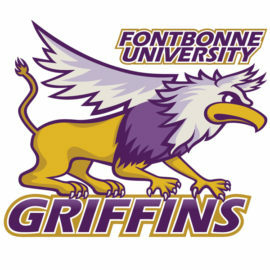 Students, faculty and alumni enjoy a unique campus personality and culture based on ambition, hard work, dedication and perseverance. Georgia State is the #4 most innovative university in the U.S.; #14 best institution for undergraduate teaching in the U.S.; and one of the most diverse institutions in the U.S. (#1 public or nonprofit university in the U.S. to confer undergraduate degrees to African-Americans; and #1 public or nonprofit university in Georgia to confer undergraduate and graduate degrees to African-Americans, Asians and Latinos). Justin Bragg took over the the program at Illinois College in October of 2017. He specializes in coaching League of Legends, being a former challenger player (peaking at rank 10) and participating in the Challenger Series back in season 4 and 5. In his first season coaching, every player on the team improved by at least one tier, with the most improvement coming from our mid laner, starting the season at Silver 2 and ending at Platinum 4. Juniata is part of the Landmark Conference, the first Division III athletic conference in the US to host esports play among conference members. This Spring we are fielding Landmark teams in League of Legends. We are also active in ECAC competition with League and Overwatch, and seeking other opportunities to expand our reach. 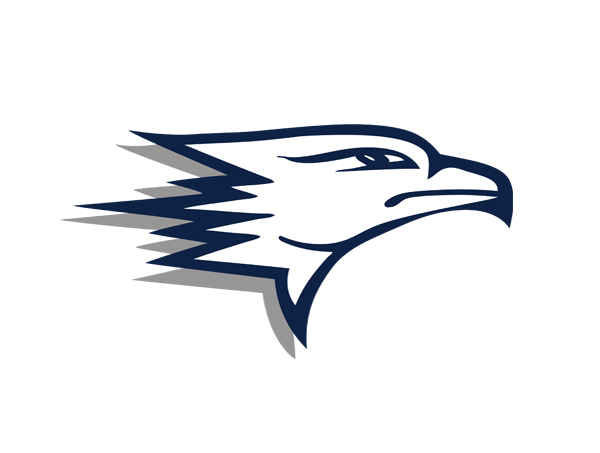 Juniata College also offers esports scholarships up to $2,500. These awards recognize program engagement and participation of students who do well academically, but also contribute to their school and community and whose academic excellence and aspirations are balanced with competitive ability. Express interest and find out more by filling out the recruitment form on our esports page. Esports serves as Lebanon Valley College's 26th varsity intercollegiate athletic program and its first co-ed sport. It is the fifth new program added since the beginning of the decade, along with men's and women's lacrosse (2009–10), women's golf (2013–14), and women's ice hockey (2016–17). LVC competes as a member of the National Association of Collegiate Esports (NACE), the country's most prominent organization dedicated to competitive collegiate video gaming. Student-athletes take part in national competitions in Overwatch, Hearthstone, League of Legends, Rocket League, CS:GO and several Fighters including Dragon Ball. Located among the natural beauty of Sylvania, Ohio, Lourdes University is the ideal place to focus on academics, personal development and eSports. The small city provides landscape for our intimate school, which boasts plenty of one-on-one assistance from coaches and instructors alike. Those looking for more active city life will find neighboring Toledo, Ohio to have plenty in the way of music and art or leisure and socializing, depending on your personal interests. But for those dedicated to the game, our players look no further than our 25 station eSports arena: top-of-the-line computer towers, 24" 144hz monitors, three 4k TVs, aesthetics personalized to eSports. Our student-athletes have unrestricted access to this space during the day, as long as they maintain a Lourdes' mentality. Because here at Lourdes University, we are more than just an eSports program; we are a community of learning, reverence and service. So, do you have what it takes to be a Gray Wolf? Find out at www.lourdes.edu. See you soon! Schreiner University is currently recruiting for the following games: League of Legends, Overwatch, Rocket League, Hearthstone, Paladins, Smite, Call of Duty, Smash Bros, Heroes of the Storm, PUBG, and others. Players selected to join our roster are guaranteed at least $10,000 per year (up to 4 years), a dedicated practice space, and various opportunities to travel and compete. We have a supportive administration and our student gaming community is one of the largest on campus. "The mission of Siena Heights University, a Catholic University founded and sponsored by the Adrian Dominican Sisters, is to assist people to become more competent, purposeful and ethical through a teaching and learning environment which respects the dignity of all." The TXWES Esports & Gaming Program is based on the three Cs: Competition, Creation, and Community. • Competition: we field 7 games currently. Overwatch, League of Legends, Hearthstone, Smash Bros (Melee and Ultimate), FIFA and Madden. Our program is structured like any other athletic program on a college campus. In addition to practices and competitions, competitors are expected to take part in VOD/film reviews, leadership/skill development sessions, study halls, and real life work outs created by the director of our fitness center. • Creation: Between our partnered page on Twitch and YouTube, we are building out a streaming, vlogging, and podcasting presence online so we are looking for both on air and behind the scenes talent for that. The hope with this piece is to not only provide a fun experience for all involved, but also let those creating this starting building out more of a portfolio to use in future employment. • Community: this is the event management and social media side of things. We have Community Managers, office staff, and student volunteers already helping to brainstorm, plan, and execute events for our community both on a small and large scale. This is also the avenue for those that just want to attend events and not actually help run them. What we offer: Our school offers 12 $2,000 esports scholarship (based on try outs), we have several student employment positions in our office that pay $10.10/hour up to 20 hours per week, and our school offers merit scholarships based on GPA and test scores that can cover 70% of tuition cost. 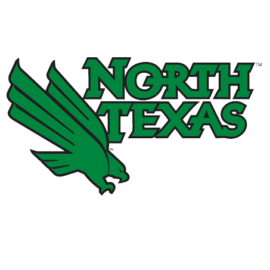 Our university is also located within 45 minutes of Optic, Team Envy, Complexity Gaming, Mavs Gaming, and the FC Dallas eMLS team. We have already been meeting with all of these teams to find ways to collaborate, increase our competitors skill levels, and create an overall amazing and educational experience for all students involved in our program! Founded in the summer of 2017 the UAA E-Wolves aim to unite gamers on campus along with throughout the gaming community to have a common space to come together and game with others in the community. We cater to all levels, whether you want to compete at a collegiate level or just play casually. We currently have one team that competes in the collegiate scene for League of Legends in the CSL along with actively recruiting current college students and future students for teams for other games such as Overwatch, Hearthstone, Heroes of the Storm, StarCraft 2, WoW, CS:GO, DOTA 2 and Smash and hopefully more in the future. We're a recognized uLoL club from Riot which grants us access to recruitment and viewing party kits from Riot Games. We're working on becoming a TESPA chapter along with partnering with other gaming communities throughout Alaska to assist with our growth and lastly one of our main goals is to show that the UAA E-Wolves has what it takes to make their mark on the collegiate Esports map. At this time we are a fairly new program so we don't offer any scholarships but we are working on that. The main thing we offer is a place to compete in the collegiate scene. Established in 1883 as Jamestown College, University of Jamestown is a private, liberal arts university granting bachelor of arts, bachelor of science, and bachelor of science in nursing degrees as well as a master’s degree in education and a Fargo, N.D.-based doctor of physical therapy. Upholding its commitment to strong Christian principles, University of Pikeville offers broad liberal arts and science educations. Its foundation provides opportunities for students to develop their full academic and personal potential in preparation for their chosen careers. The Esports Program aims to be a stepping stone to long, lavish careers in whatever its student-athletes seek to be a part of, whether it be a career in Esports or other avenues. This is accomplished by providing guidance and training in the aspects of professionalism, adaptability, sportsmanship, morality, ethics, and success.